Attending to the physical and emotional needs of the whole child is a prerequisite for optimal learning conditions. Green Vale’s natural culture is one that promotes joy within a measured yet focused work ethic. Nevertheless, we take every opportunity to infuse School experiences with attention to the heart, body, and spirit. Without an early education in these matters, it becomes harder to maintain balance in the face of so much external noise, pressure and excess. 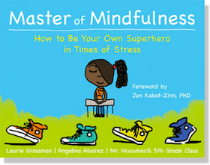 Green Vale has also embarked on an effort to inculcate the benefits of mindfulness in an educational setting. 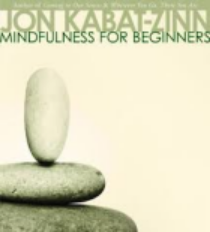 Inspired by the work of Dr. Jon Kabat-Zinn and his Center for Mindfulness in Medicine, Health Care and Society at the University of Massachusetts Medical School, we believe in the stress reduction, empathy, heightened focus, and self-awareness that mindfulness can contribute to the Green Vale Community. The InnerExplorer platform will be a key component of this program in the classroom. Mindfulness is paying deliberate, non-judgemental attention to present circumstances and the unfolding of experience moment by moment. We talk to children about putting their mind and their body in one place at the same time. Mindfulness practices can be both formal such as a "body scan meditation" or informal such as a walking meditation recognizing and experiencing breath, sounds, nature without distraction. These practices result in development of empathy for others, the ability to navigate difficult emotions or stressful situations, improved concentration and avoidance of distractions, and honing the skill to respond rather than react.